There are many facets to employee relocation, but having professional and efficient transport of household items is essential for a successful move. Since the 1940’s, Booth Movers has specialized in providing high-quality employee relocation services for commercial customers throughout New Jersey and the Bergen County area. As a BBB accredited business with ProMover status, our professional New Jersey employee relocation company is committed to making your employee relocation in New Jersey a seamless experience. As an award-winning member of both the American Moving & Storage Association and the New Jersey Warehousemen & Movers Association, Booth Movers is dedicated to professionalism within the industry. Wherever life takes you, you can count on our New Jersey employee relocation services to take the stress out of your transition! As the premier choice in New Jersey employee relocation, Booth Movers has the experience necessary to meet your company’s requirements for a stress-free relocation. To begin the process, one of our expert move coordinators will provide a free, in-home estimate of the costs for the New Jersey employee relocation services that best suit your needs. During the relocation process, Booth Movers will work closely with your employees to provide frequent status updates and full-service customer support. Our New Jersey employee relocation company is a trusted agent of Atlas Van Lines, and with this affiliation we are connected with a global network of resources and moving professionals that have the capability to efficiently handle all the aspects of your next move. If your career is requiring you to relocate, let Booth Movers take care of all the details! Regardless of the size or scope of the relocation project, our expert staff has the experience needed to make your move a pleasant experience from start to finish. Business Relocation – Our expert business movers in Bergen County will help you minimize downtime and stay on-budget during your commercial relocation. Office Moving – For office moves big and small, there is no better choice among New Jersey moving companies! Home Delivery – Ramp up the efficiency of your commercial home delivery system by letting Booth Movers handle all the details! 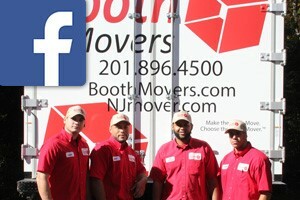 For unmatched quality and service, Booth Movers is the answer for all of your New Jersey employee relocation needs. For more information on the comprehensive services we offer, give us a call to connect with a knowledgeable moving specialist! You can also simply fill out our online form to request your free moving estimate today!